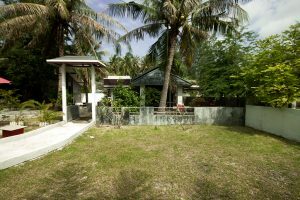 A beach front bungalow with 1 large double bed , bathroom with hot shower and toilet. This bungalow has air-conditioning, its also has glass sliding doors around it which makes it bright and cool. The bungalow also has a small tearrace. 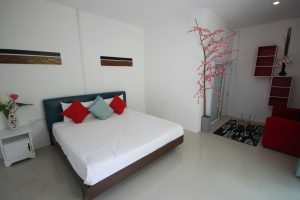 A small sea view bungalow that has a large room with a double bed. This bungalow has a bathroom with toilet and hot shower. The room is has large sliding doors with views to the sea. 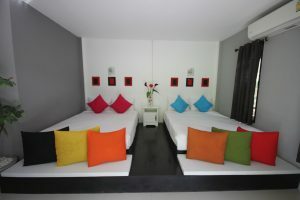 A large room bungalow with two double beds and air conditioning, the two double beds are located in the same room next to each other with 1 one bathroom with hot shower. 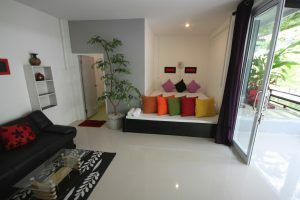 A clean comfortable bungalow room with a double bed and bathroom. The room includes fan, small sofa and coffee table. The bathroom has hot water shower, sink and toilet. They are located in different parts of the resort and all have slight differences in appearance. 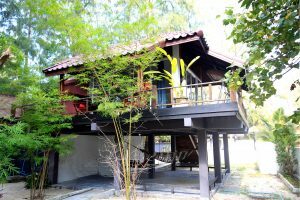 This bungalow does have sea views through the trees, its set back from the beach near the entrance of Phangan Cove, its peaceful and quiet set in its natural surroundings.The bungalow has a large room with a large comfortable double bed. 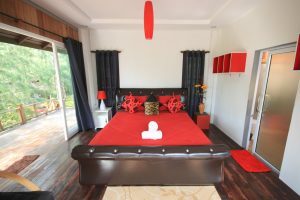 The bungalow has a large room with a large comfortable double bed and another room at the back with another double bed. 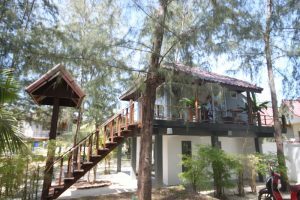 A large room bungalow that sits on its own in the Phangan Cove resort, it has two floors, the bottom floor has a lounge, terrace and kitchen. The upper floor is the bedroom and bathroom.